KTM Fasteners records first sale on OCRON eCommerce build. KTM Fastener Group LLC of Brunswick, Ohio incorporated in late 2015 as an on-line fastener store. KTM will provide nuts, bolts, washers and dry screws, throughout the USA at wholesale prices. 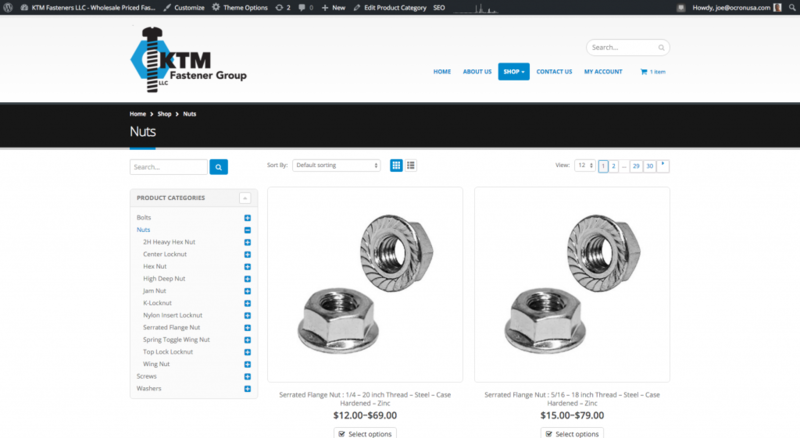 KTM Fasteners contracted OCRON Systems to build and customize a complete ecommerce web solution and digital marketing strategy. After only 10 short days after launch, KTM Fastener Group recorded their first online sale to a customer in Kansas.